Since it first disclosed a stake at Imperva Inc. in the summer of 2016, activist investor Elliot fund made clear its intention to push for dramatic changes at the information security company. Nine executives have left Imperva since, including the company’s founders. Earlier this month, the company reported a quarterly net profit for the first time, and in its annual reports published Monday, it beat analyst forecasts. In June 2016 Elliott Associates LP, a unit of activist hedge fund Elliott Management Corporation, disclosed a 9.8% stake in Imperva, stating it believes the company is “materially undervalued.” Since then, nine Imperva executives left the company. Imperva had been on a losing streak since its launch in 2002, a trend that increased once the company went public in 2014. In 2015, Imperva reported a net loss of $48.9 million. In 2016, its net loss was $70.3 million. Imperva’s recent annual reports showed the company had topped forecasts following a positive year. In a quarterly report published on February 8, Imperva reported total revenues of $91.1 million, an increase of 16% from the same period the year before. The increase was supported by an 8% rise in product revenue and an increase in services revenue, which at $60.2 million accounted for 66% of total revenue. 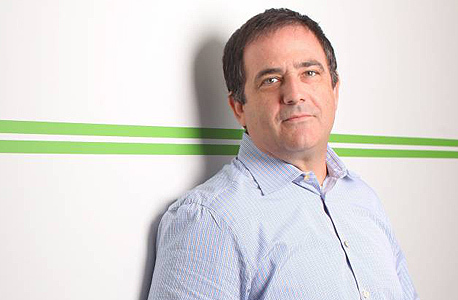 Founded by Israeli-born Shlomo Kramer, Amichai Shulman, and Mickey Boodaei and headquartered in Redwood Shores, California, Imperva provides on-premise data security solutions. While the company sales have steadily increased over five years, the net loss reported for 2016 was the highest the company registered since 2012. In early February 2014, Imperva announced the acquisition of cybersecurity startups Skyfence and Incapsula. Imperva co-founder was a founding investor and board member of both companies. Shortly after, Imperva’s stock tanked, falling by as much as 66.8% between March 6 and July 16. Then, in August, Imperva announced Mr. Kramer would step down as CEO. In July 2017, Imperva’s co-founder and CTO Amichai Shulman stepped down, accepting a mantle role as Chief Scientist. In August, Anthony Bettencourt stepped down as CEO and into the role of vice president of customer engagement. Mr, Bettencourt stayed on as chairman of the board of Imperva. Christopher Hylen, the former CEO of software company Citrix Systems, Inc.’s GetGo division, was appointed Imperva’s new CEO. In October, Imperva’s chief financial officer Terry Schmid resigned, and Imperva named Aaron Kuan Interim CFO in his place. Imperva announced it appointed Mike Burns as CFO in January 2018. Also in January, Imperva appointed David Gee as chief marketing officer. Mr. Gee formerly served as CMO of software company Zuora and IT company Infoblox, Inc.
On January 22, Imperva announced organizational changes, meant to refocus the company on customers and product innovation and drive operational efficiencies. “We made some foundational changes to our structure to create a more unified organization that is customer-focused, nimble and efficient, and well positioned to execute on our key growth initiatives to deliver benefits for employees, customers, and shareholders,” CEO Chris Hylen said in a January statement. The reorganization included unifying teams and streamlining organization layers. Imperva said that the changes are expected to incur restructuring charges of $2.3 million to $2.9 million, primarily to cover severance costs. On February 15, Imperva announced that its chief revenue officer, Mike Mooney, has decided to resign. A week later, Anthony Bettencourt, who served as Chairman of the board of Imperva after stepping down as CEO, announced his resignation. In January, Mr. Kramer sold his entire stake in the company. According to a U.S. Securities and Exchange Commission document, in 2017 Mr. Kramer had around 2 million shares, 1.3 owned by him directly and some 800,000 owned through investment holding company Hapri Ltd., of which he is a director. Together, Mr. Kramer had a 6.8% stake in the company. As Imperva's price per share ranged between $40 and $50 in 2017, Mr. Karmer's stake would have netted him some $90 million.